Have you ever been concerned about your online privacy? If not, you must consider it right now, especially if you enjoy surfing on free public wifi or do online transactions using your smartphone. The reason is that – all public wifi are not always safe. So you need to hide your privacy while surfing on such places. One way to do so is, by using best free android VPN apps that let you browse anonymously and transact more securely. Though using these tips to stay safe on public wifi, you may surf securely. But with the ever growing internet security issues and cyber crimes, people are more concerned about hiding their personal data online. In such scenario, the mechanism of creating VPN [Virtual Private Network] comes very handy as it adds an extra level of security to safeguard your data. 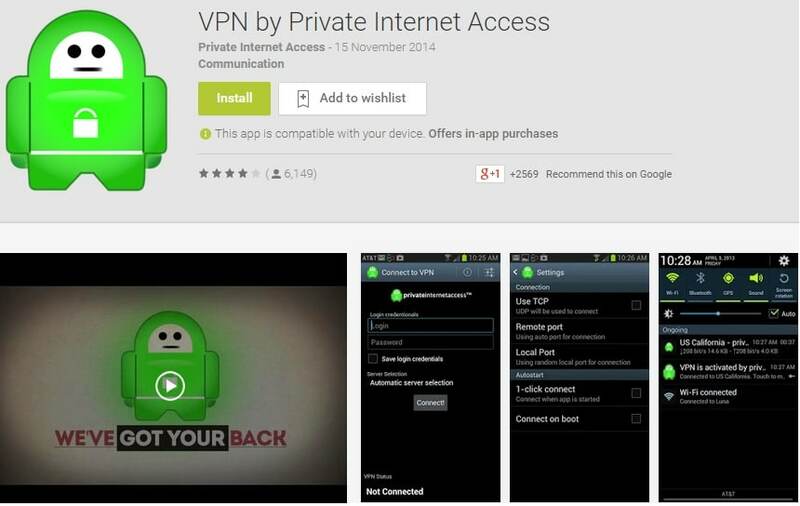 There are many free Android VPN apps available in Google Play Store and other app markets. 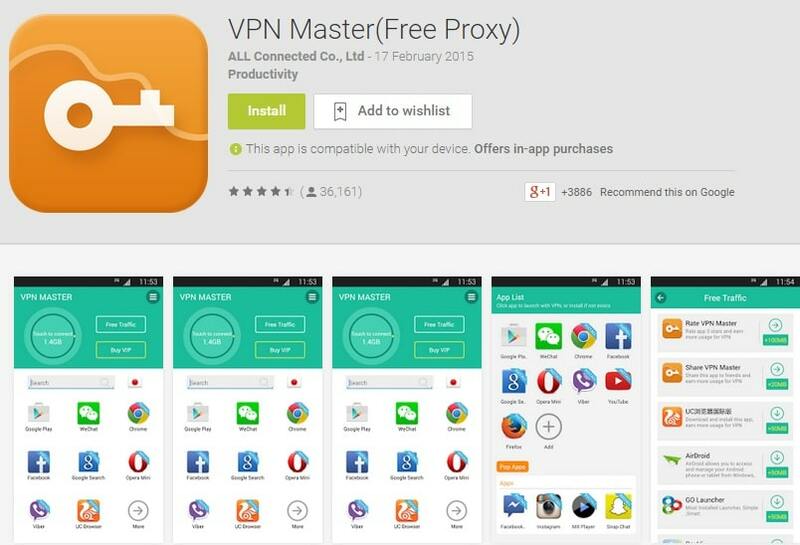 If you search for “VPN” in Google Play Store, you’ll get a huge list of free Android VPN apps, but all of them are not so useful. Thus, selecting best Android VPN apps from the huge list may be a quite confusing task. Must Know: How to Send an Anonymous Email from Anonymous Email Account for Free? However, you don’t primarily need to worry as today I’m going to share lists of top 20 free Android VPN apps. So have a look at these. 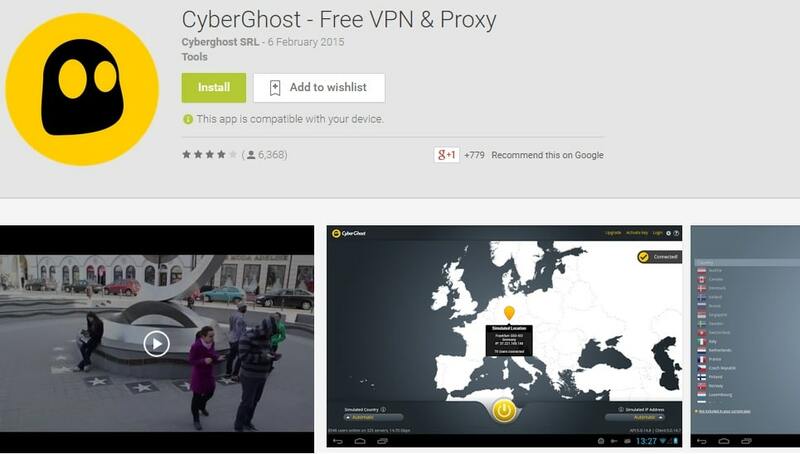 The first to come on the list is CyberGhost VPN. It is a cool VPN app that provides free VPN services for Android users using the 256-bit AES encryption. It doesn’t compromise with users security & privacy as it offers banking-level security and encrypted data transferring security feature. The app is quite simple to use with an easy user interface and is accessible to 23 free servers, located in 15 countries (US, Germany, Czech Republic, Spain, Finland, France, United Kingdom, Ireland, Italy, Luxembourg, The Netherlands, Norway, Poland, and Romania). I have been using CyberGhost VPN for the last 3 years and it has been an amazing experience so far. If you need a trusted VPN that doesn’t compromise with user’s privacy and data, use this special link to get 7-day Free-Trail of CyberGhost VPN. 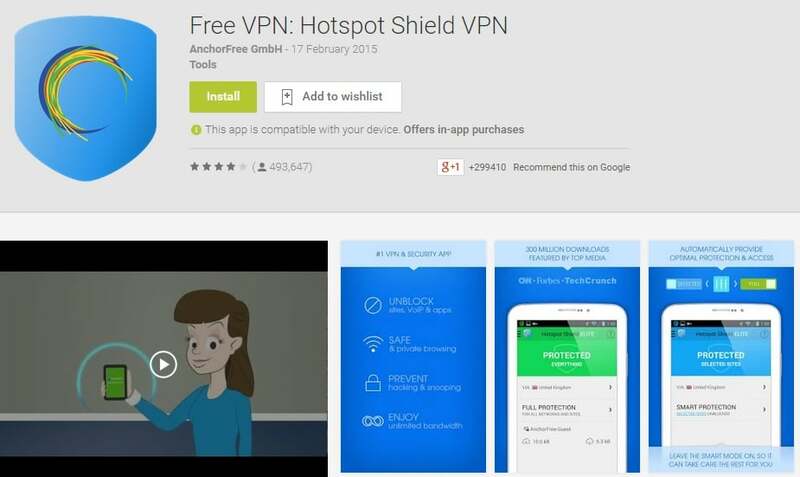 The second to come to this list of best free Android VPN apps is – Hotspot Shield VPN Proxy. Yes, it deserves. 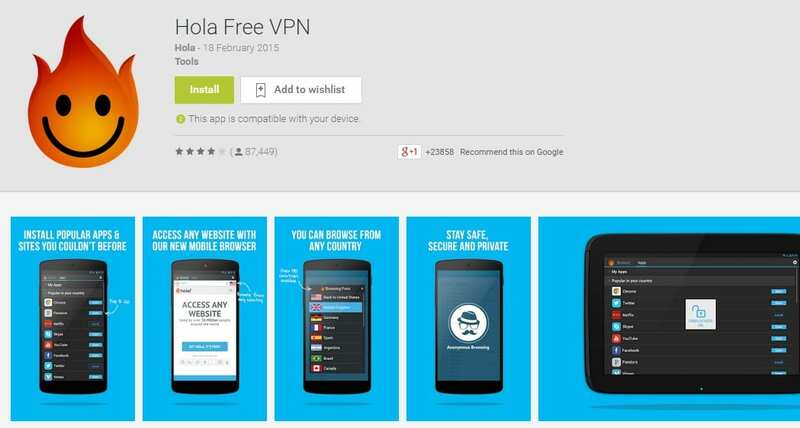 It is one of the most popular VPN apps to get millions of downloads due to its cool features. It has not only got all the basic features that a VPN app holds but also has got some advanced features like banking-level HTTPs encryption thus enabling you to do transactions more safely and securely. It has got a very decent look and easy user interface as it automatically connects to VPN based on the kind of network you are on. But the most promising aspect is that you can access blocked content using this app without comprising with your privacy as it protects your out-going personal data from being shared. 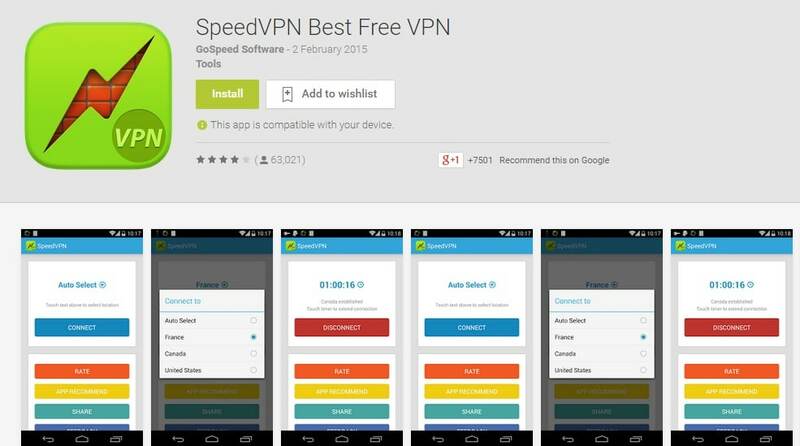 Speed VPN is one of the best free Android VPN apps that lets you connect to internet servers located in various geographical locations. So you can easily access even those websites or services which are blocked in your country. This app has a very simple and easy to use interface as it lets you surf anonymously without signing up or doing anything. The app automatically disconnects after 60 minutes as each connection can last a maximum of 60 minutes. However, you can re-connect or extend the session as per your choice. One downside of Speed VPN is that it is designed especially for low-bandwidth activities. So you can’t access higher bandwidth access like torrent use. Read: The Pro Guide – How to Keep Your Android Device Secure? Super VPN is yet another free VPN client that helps you protect your privacy and keep your personal data safe from any third-party tracking. 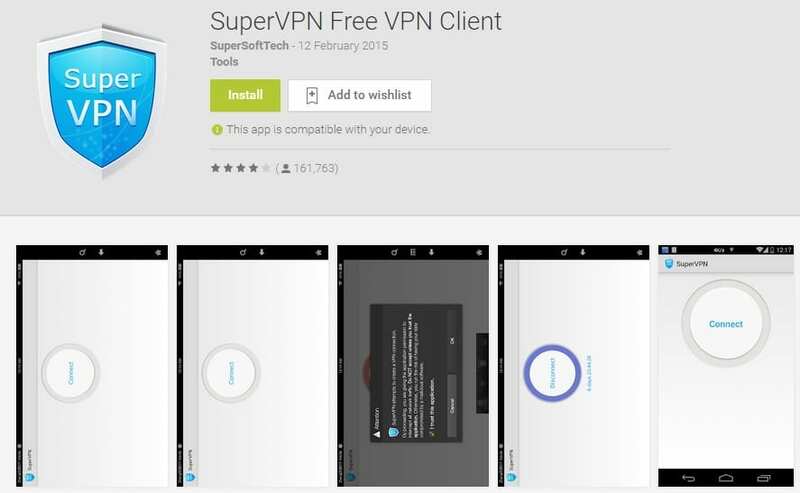 Super VPN is easy to use an Android app that anyone can access at ease. Neither registration nor rooting is required. Just a single install is required, and you are all set to unblock and access restricted websites or content in your region. Super VPN is a super cool app that has got more than 5 millions install all over the world. Hola Free VPN is designed to provide something extra as it provides its users an extra advantage in speeding up their internet speed also. The app not only helps you to browse anonymously and surf more securely but also browse websites faster. The Hola Free VPN app automatically connects you to the nearest server to boost your browsing speed. Thus, this simple and easy to use app allows you to unblock restricted websites as well as help you access them faster. 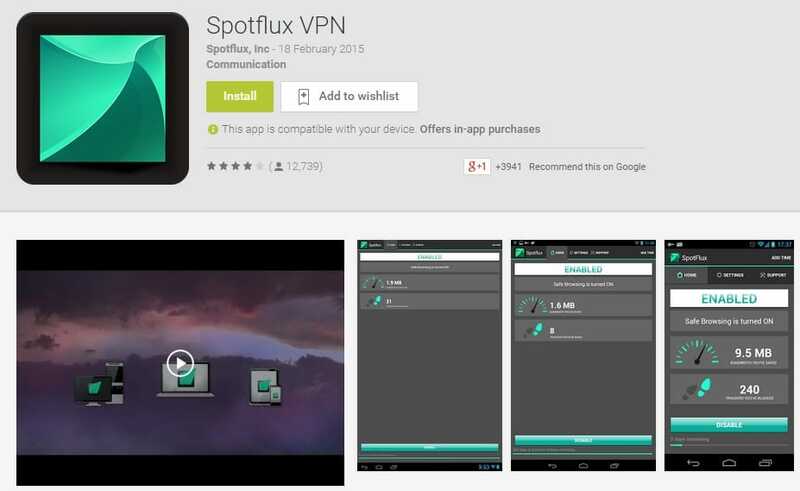 Spotflux VPN is another free Android VPN app that has got some advanced features like 2-level protection against suspicious data sharing. Though Spotflux performs all basic working of a VPN app, it has got some other advantages as compared to other popular VPN apps. It is a super cool app that reduced your bandwidth usage by compressing data. Thus, improving your browsing experience by reducing server load. 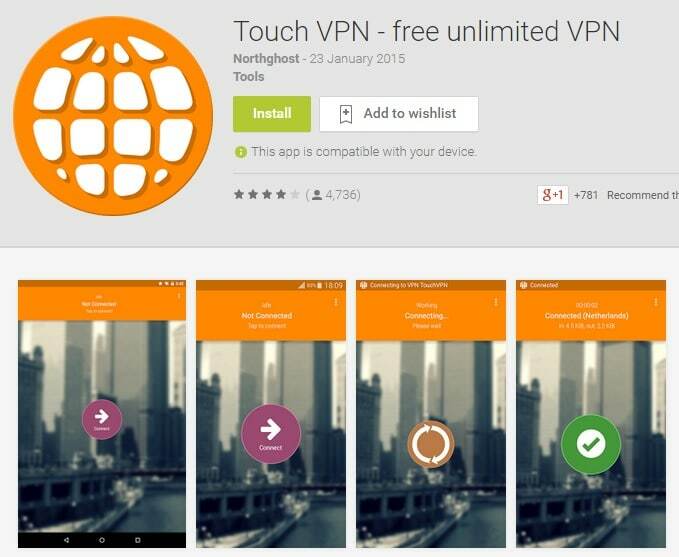 Touch VPN is another good free Android VPN app that provides unlimited VPN facilities. It has got an advance feature of data encryption by using Super Socket Layer [SSL]. It maintains a very secure and encrypted link between server and client. One very effective feature that makes it better than other free Android VPN apps in this list is that it conserves battery of the device which is very useful in extending your smart phone battery life. 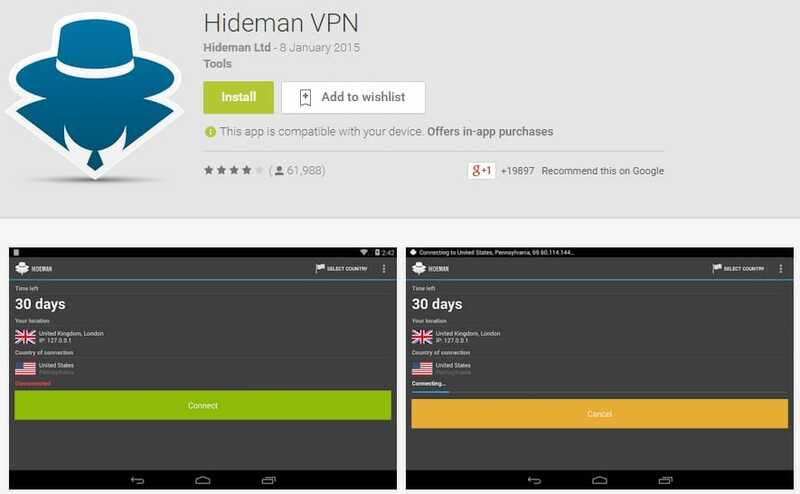 With the use of 256-Bit encryption key, the Hideman VPN is a virtual proxy network app for Android that aims to hide and secure the transmitted data by users. This converts the data in such languages that hacking minds monitoring the data can not read the transmitted data without API key. Though it provides all the basic need of a VPN app, one thing that I don’t like about it is, it restricts your weekly usage to 5 free hours only. However, you can always choose to buy premium features and surf anonymously by using unlimited VPN. 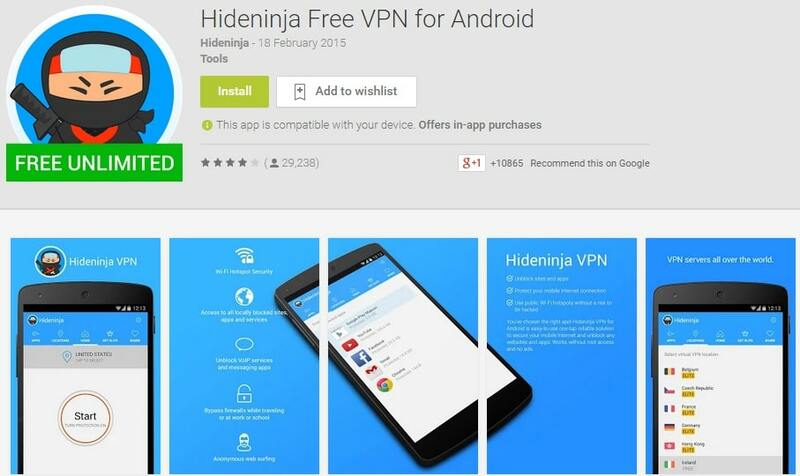 HideNinja is another good free Android VPN app with some superb features. It offers you free unlimited VPN that allows you to unblock and access blocked websites in your Geo-location. HideNinja also provides wifi security and powerful privacy protection to protect your private data online. It also protects your identity, thus helping you to browse anonymously. 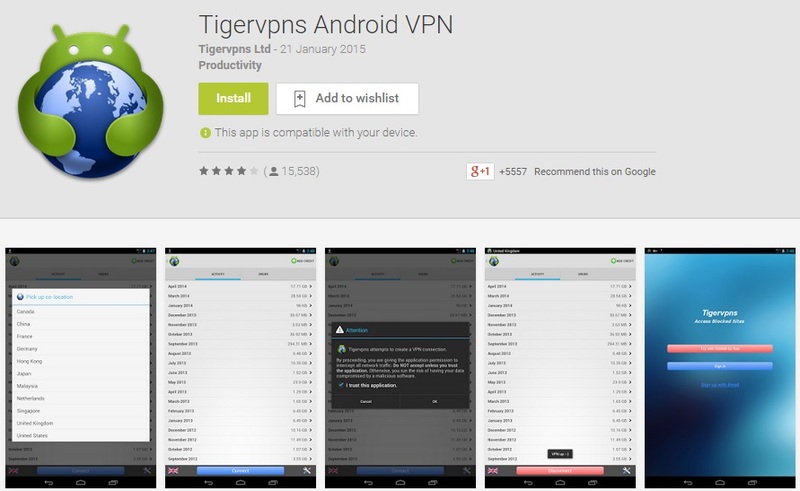 Tigervpns is a super cool VPN app for Android users that provides one-click android VPN solution by hiding your IP to protect your privacy online. Though it offers only 500 MB of free trial traffic service on new sign up, but one advantage of using Tigervpns is that it is available on multi-platform. So you can access it on your desktop Windows, Mac, iOS etc. to connect to the proxy servers with the same account. Secureline VPN is developed by none other than famous Avast that is known as one of the best antivirus developed worldwide ever. 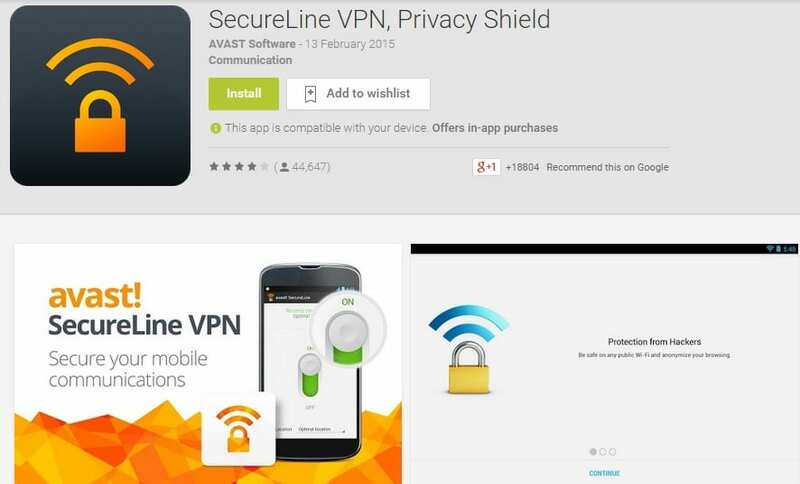 Avast SecureLine is a VPN client that protects you from data theft by using a virtual encryption shield ‘tunnel’ with IPsec technology to secure your public/open Wi-Fi connections. Though it is not completely free Android VPN app as it is available for free for the first seven days as the trial, it is worth trying and is also the best working VPN service if you have got premium licensing. 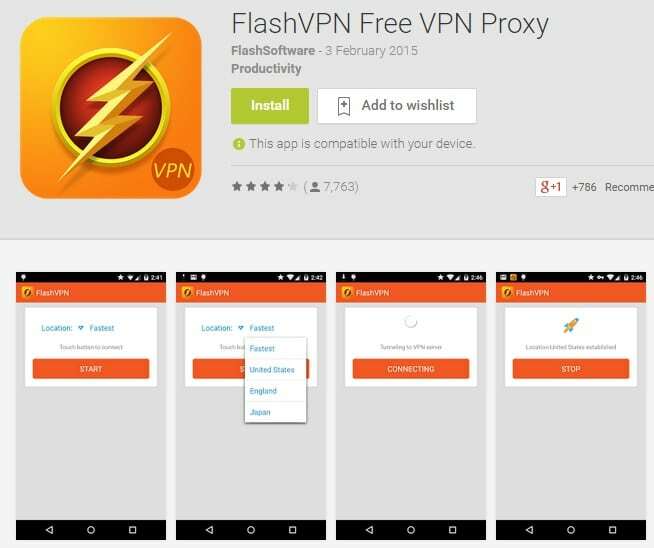 Flash VPN Proxy is another useful free Android VPN app that keeps your incoming and outgoing data safe from hackers by proving a very secure and encrypted VPN. Though it is a free Android app, it has got some decent features which are usually offered by premium apps. One of that premium like features is unlimited bandwidth offered by the app. Mobiproxy is another free Android VPN app that lets you access blocked websites which are restricted in your geographical region. It also provides you access to sensitive information. 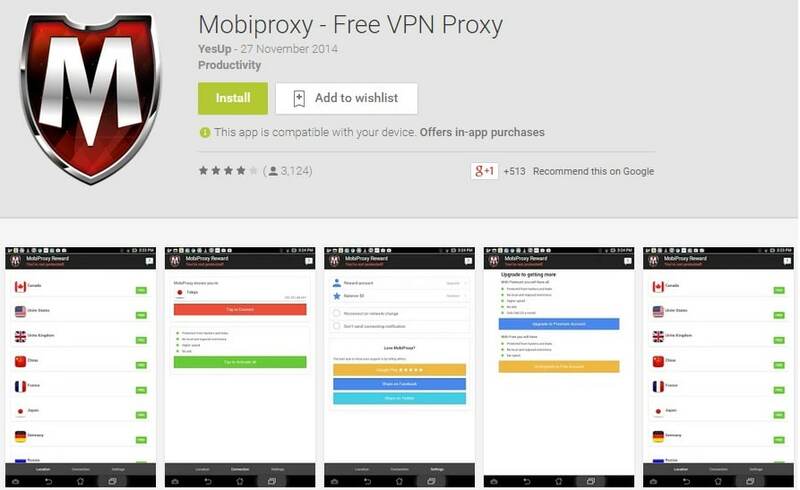 Using Mobiproxy free VPN proxy, you can connect to its multiple VPN servers which allow you to surf and collaborate over the internet without being tracked. Thus, it avoids your personal data from being accessed by hackers or data theft. VPN Master is one of the top free Android VPN apps that are perfect for surfing anonymously. It doesn’t ask you to do registration; you can install and start using the virtual proxy network with a click. With no need to enter the username, no password, no registration – it is simple to use and has a very easy user interface. However, it is the best app to Unblock sites, and enhance Wi-Fi Security and Privacy Protection at the same time. 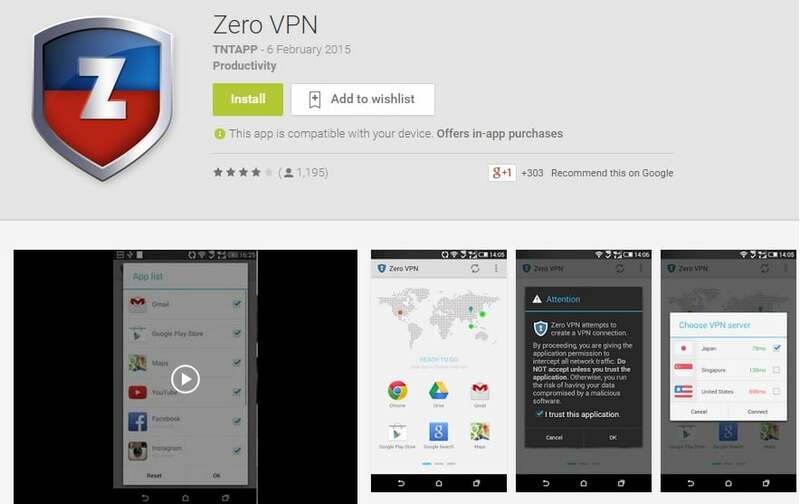 Zero VPN is a completely free Android VPN app that designed by aiming to provide powerful VPN services without any difficulty at zero cost. It helps you unblock the blocked websites which are restricted to your geographical location and surf anonymously hiding your IP by encrypting all traffic data and hotspot data. 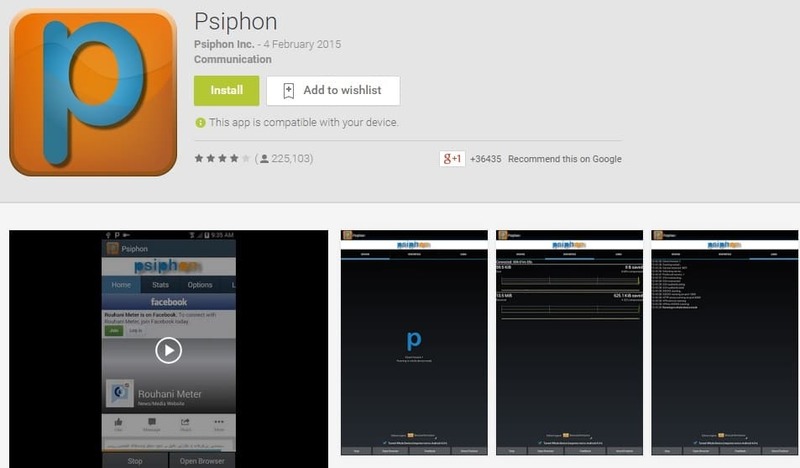 Psiphon is another cool free Android VPN app that allows you to access Internet sites and services that are blocked or otherwise unavailable through their normal service provider. Psiphon is a simple and effective way to add an extra layer of protection when using open WiFi services, thus helping you in hiding your personal data online. 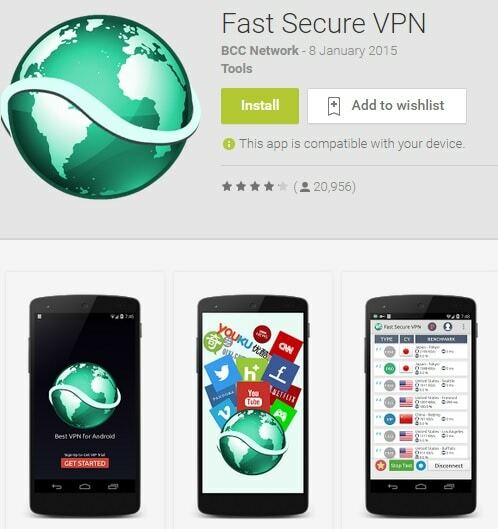 Fast Secure VPN app is another useful Android VPN app that allows you to access blocked or restricted websites at ease. Fast Secure VPN is currently available in its beta version, but it provides you an unlimited free trial with no bandwidth limit. It also protects your privacy by encrypting your private data from hackers and password data theft. This VPN app provides you 256-bit encryption and its servers are located in the US, UK, Japan, China, Italy, Netherlands, Canada, Germany, France, Hong Kong, Sweden, Romania, Brazil, Switzerland, Iceland, Czech and many more countries and areas. With Finch VPN you can surf the internet freely, securely and anonymously hiding your privacy and personal data. It prevents hackers and data sniffers from accessing your data or stealing them even if you are on an unsecured internet connection or public wifi hotspot. It unlocks the blocked websites which are restricted in your Geo-locations and also encrypts all the data that you send and receive via email or other browsing activities. 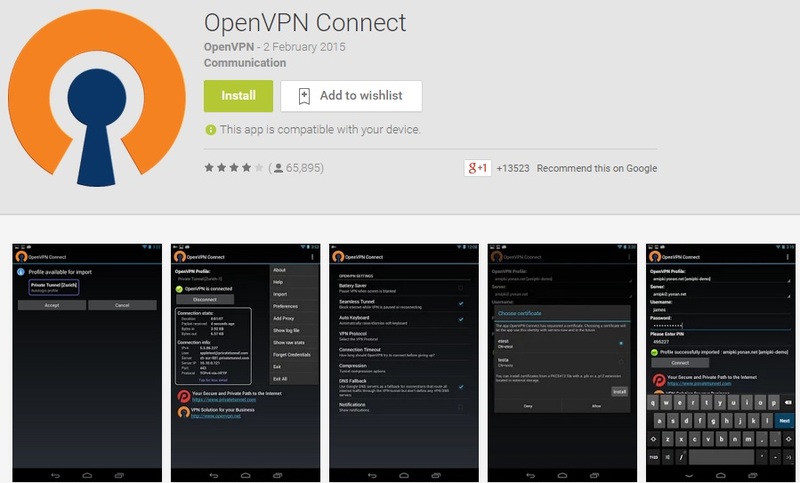 OpenVPN Connect is the official full-featured Android VPN client for the OpenVPN Access Server, Private Tunnel VPN, and OpenVPN Community. It is simple to use a very useful app which can be installed and accessible with ease without the need of rooting. It is supported by a very powerful security feature as it uses Polar SSL which is not affected by heart bleed issues. VPN by Private Internet Access is another cool Android VPN app that allows you to protect your personal data with its world leading proxy servers. It encrypts your connection and provides you an anonymous IP that protects your personal data from being shared or stolen. VPN by Private Internet Access is a very powerful app to protect your privacy as well as help you to unblock Geo-restricted websites. 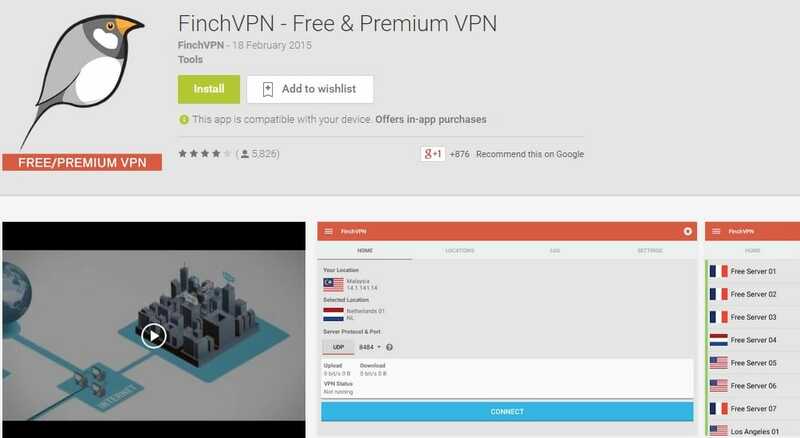 Free Android VPN apps are a very effective way to browse anonymously hiding your identity and protecting your privacy online. They also help you to unblock and access even those websites which are blocked in the certain region. Use these Android VPN apps for free and stay safe and secure while surfing online, especially when you are surfing through an unsecured internet connection or public wifi hotspot. Was it helpful? Consider sharing with your friends on Facebook, Twitter & Google+. Do you use VPN apps for surfing anonymously? Which one is your favorite? Do let me know via the comment section below. Cyberghost VPN app is excellent, with one click connect. And the best service ever I have used. Previous: How to Fix Could Not Load Shockwave Flash In Chrome?